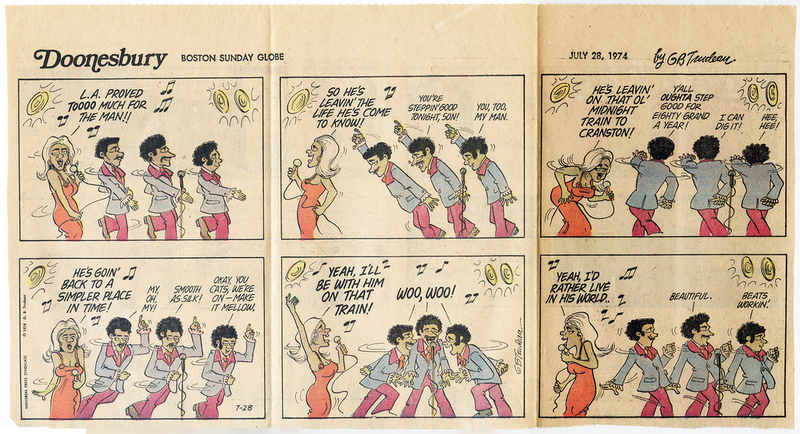 A 1974 Doonsbury cartoon catches the essense of one of the finest songs of the era - "Midnight Train to Georgia" by Gladys Knight and the Pips, heard often on 57 Chevy Radio. 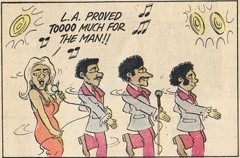 Click the panel for the full cartoon. 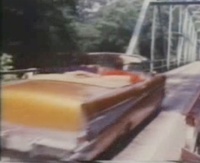 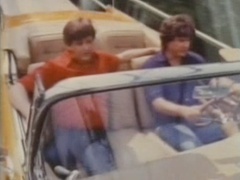 The Everyly Borthers featured a 57 Chevy in their video of "On the Wings of a Nightengale" - a later-era song written by Paul McCartney.